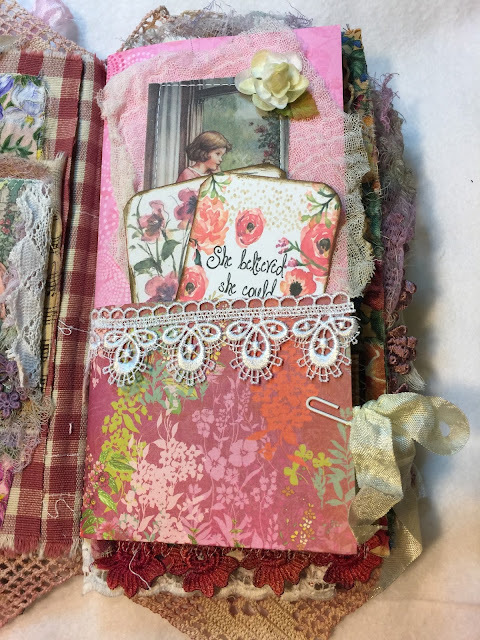 I LOVE to play with all the beautiful floral fabrics! 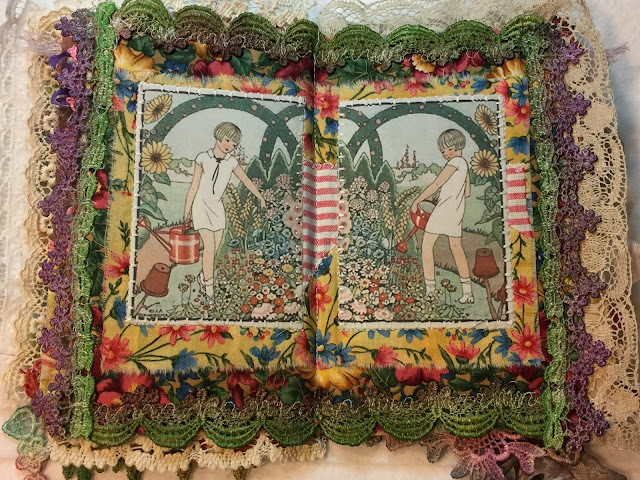 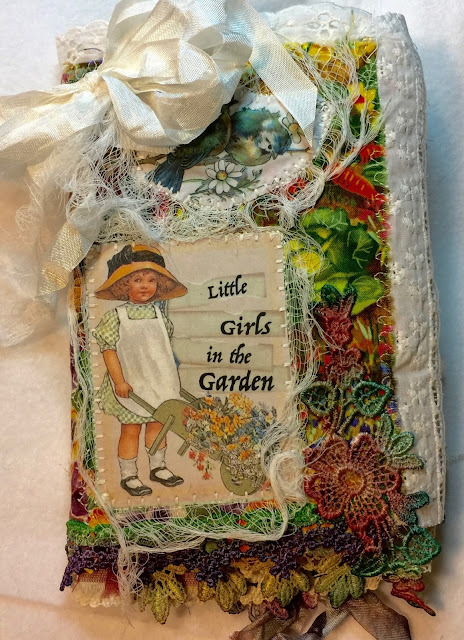 I love creating these little books, honoring 'Girls in the Garden.' 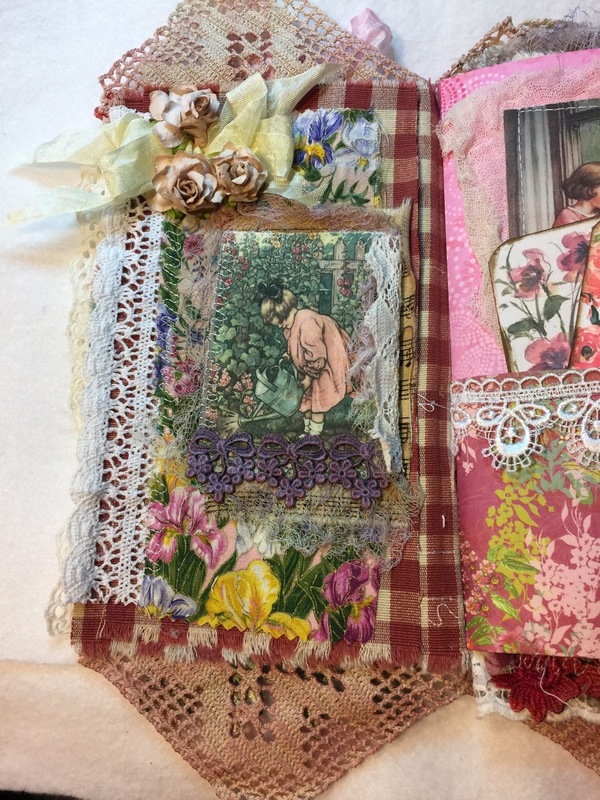 Using lots of my floral cottons, some vintage, just makes me feel HAPPY! 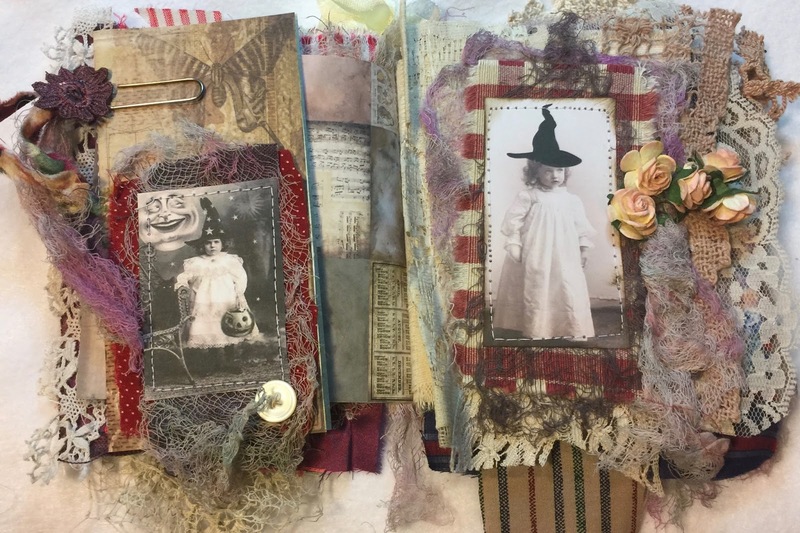 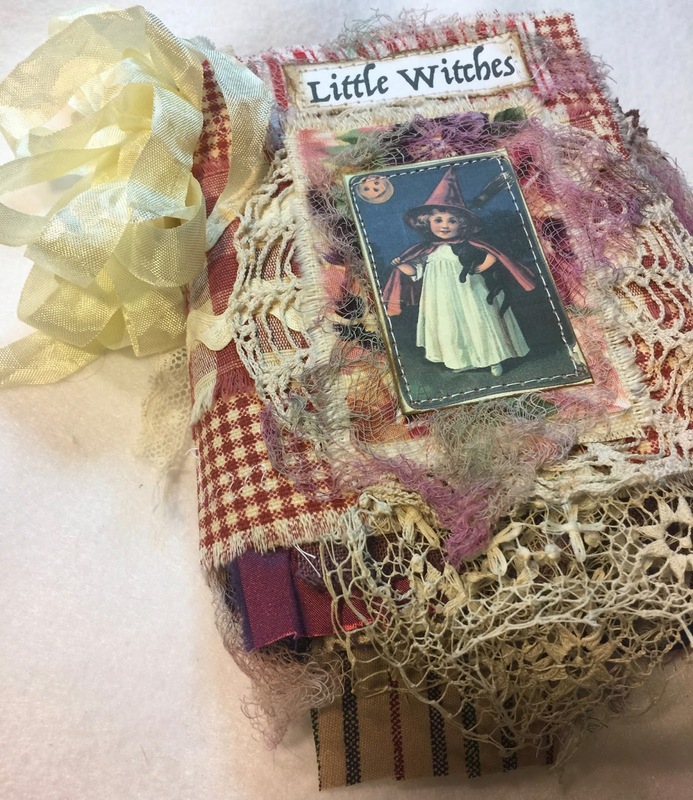 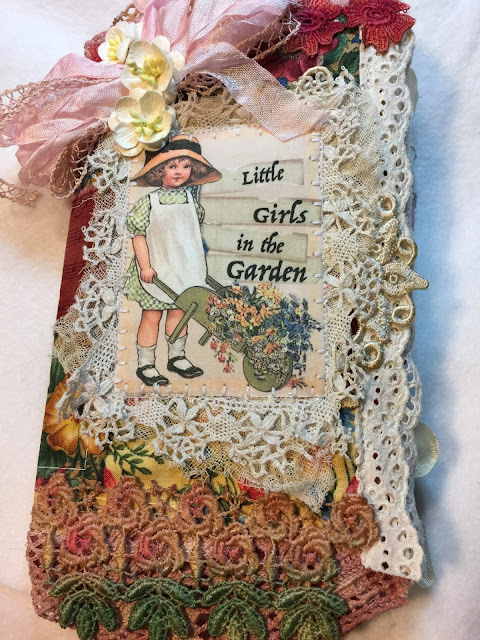 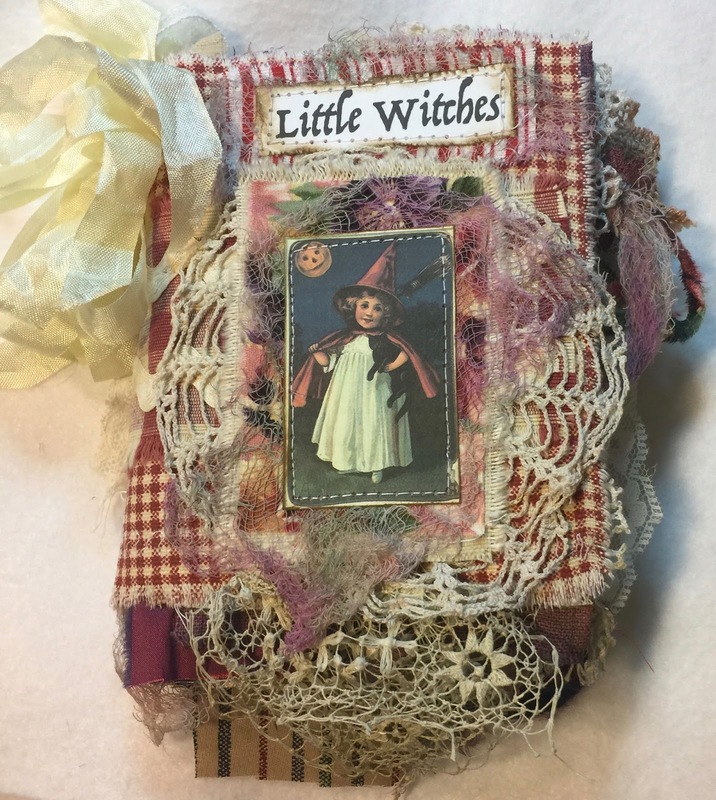 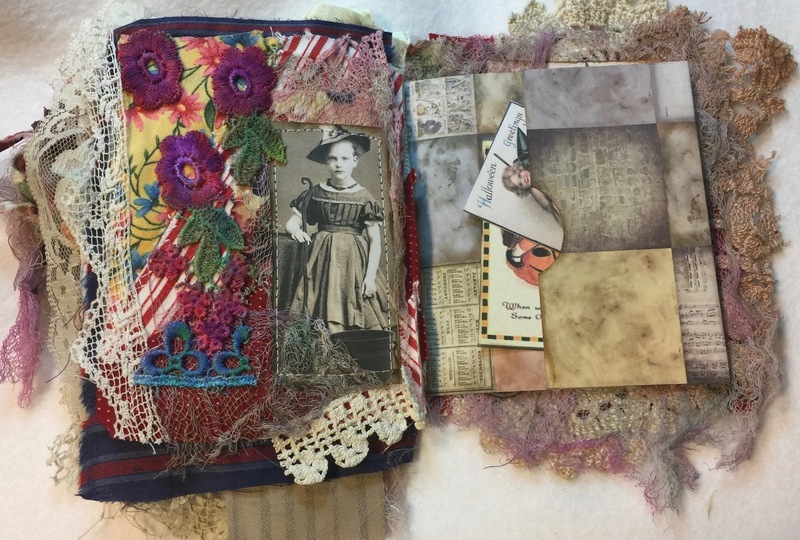 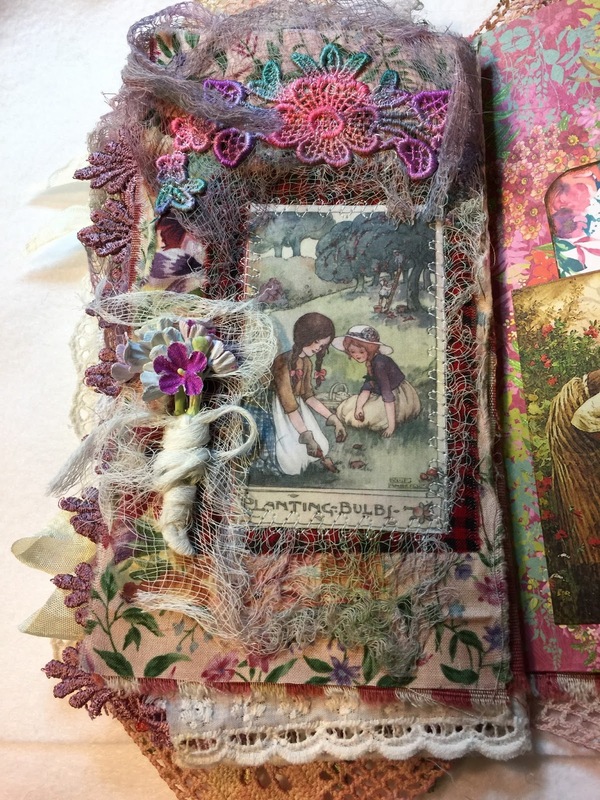 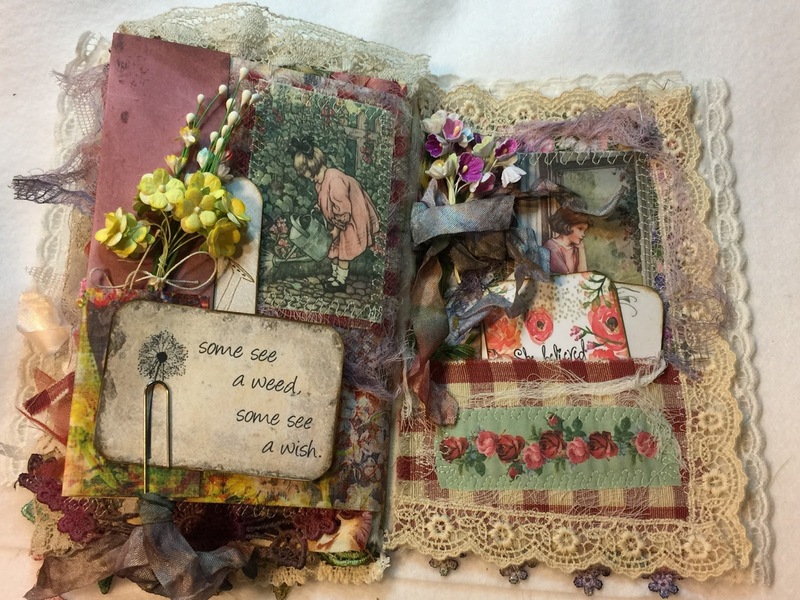 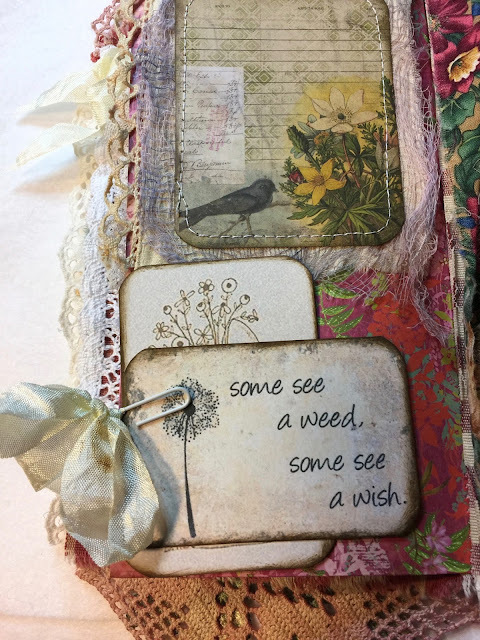 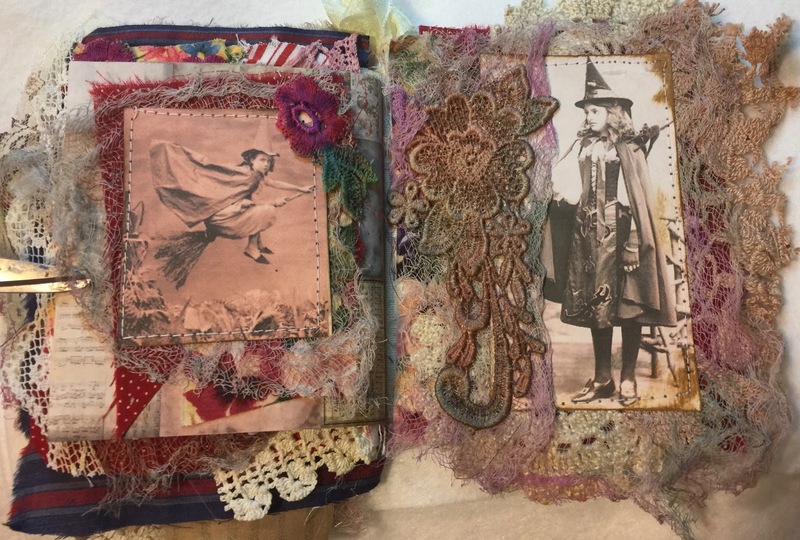 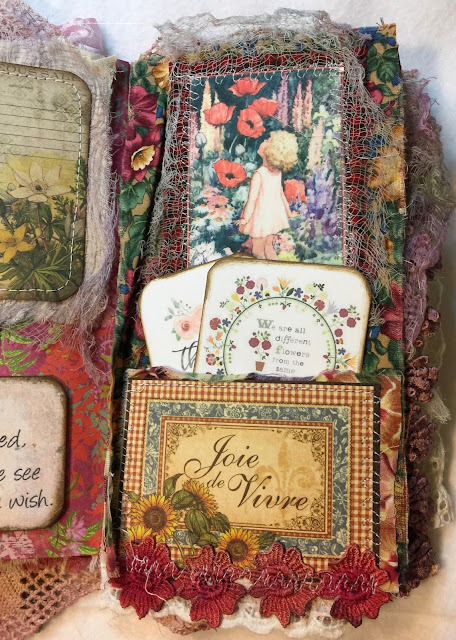 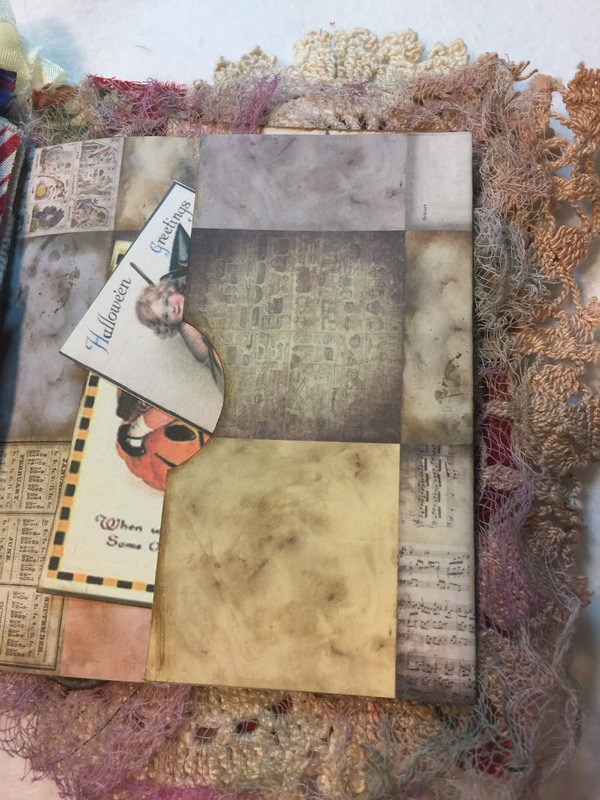 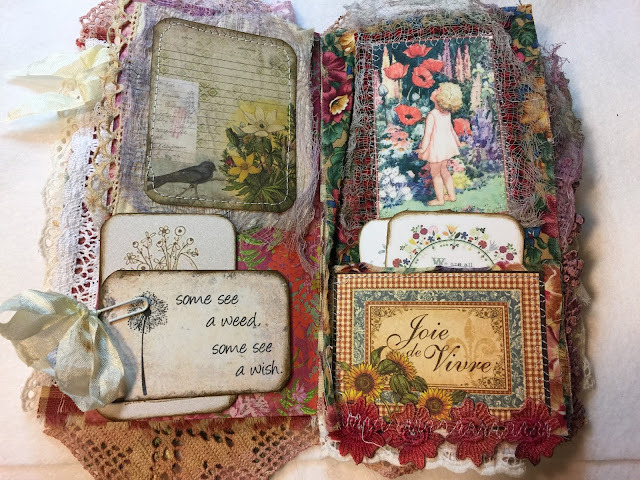 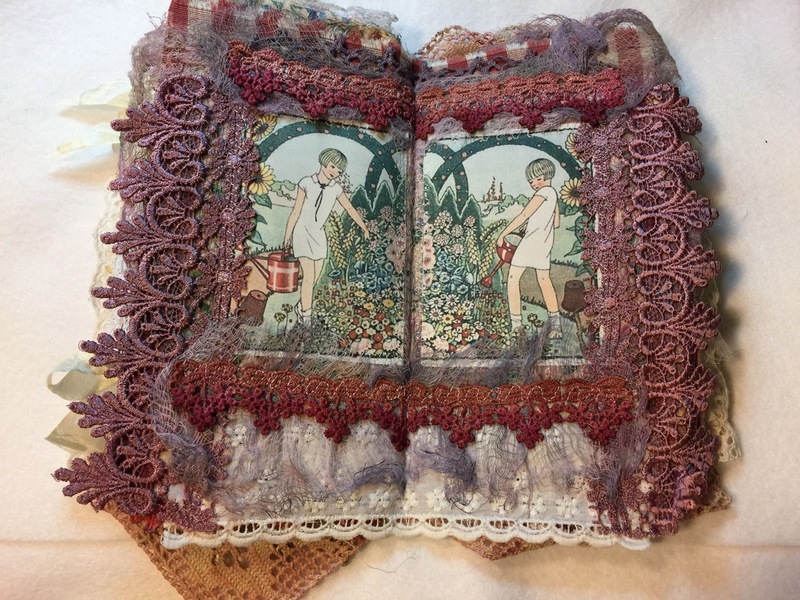 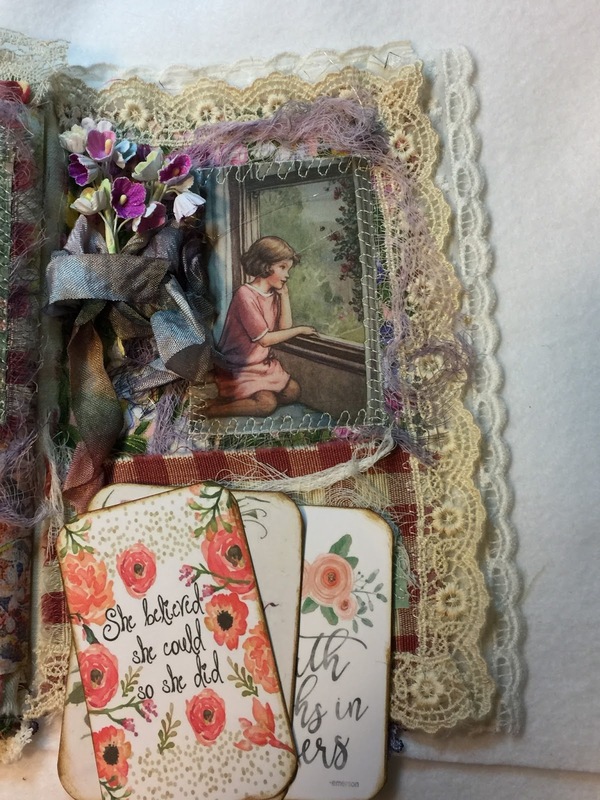 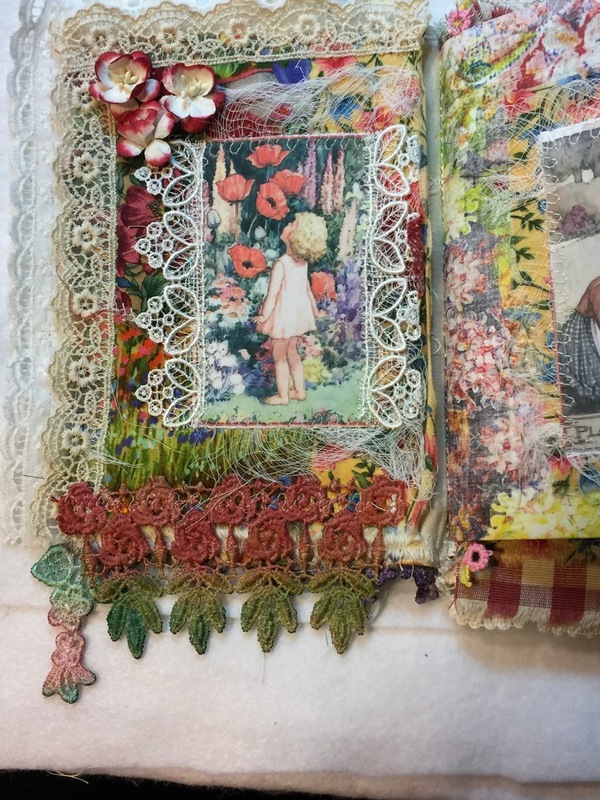 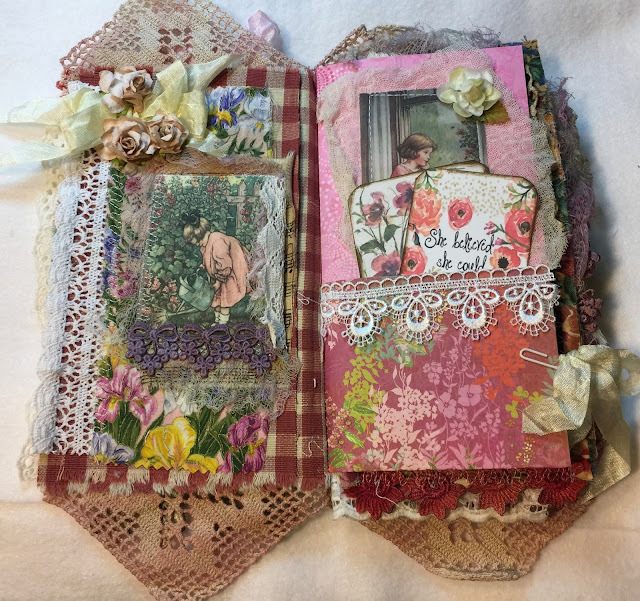 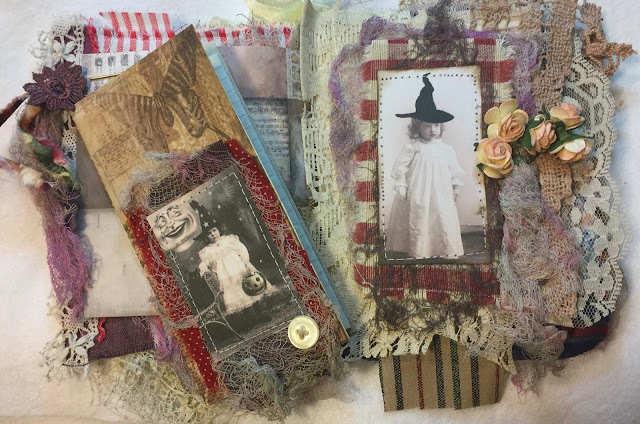 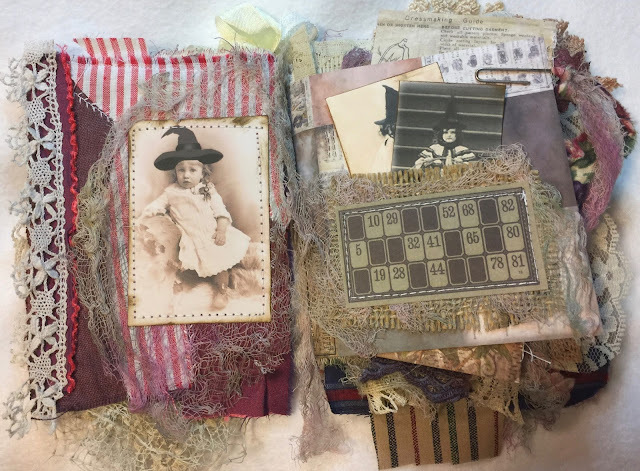 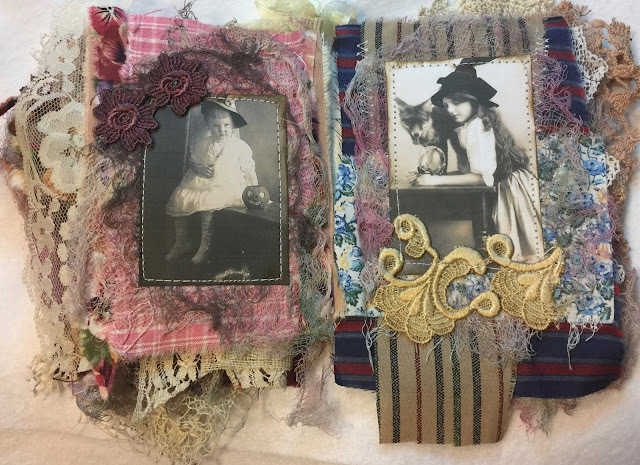 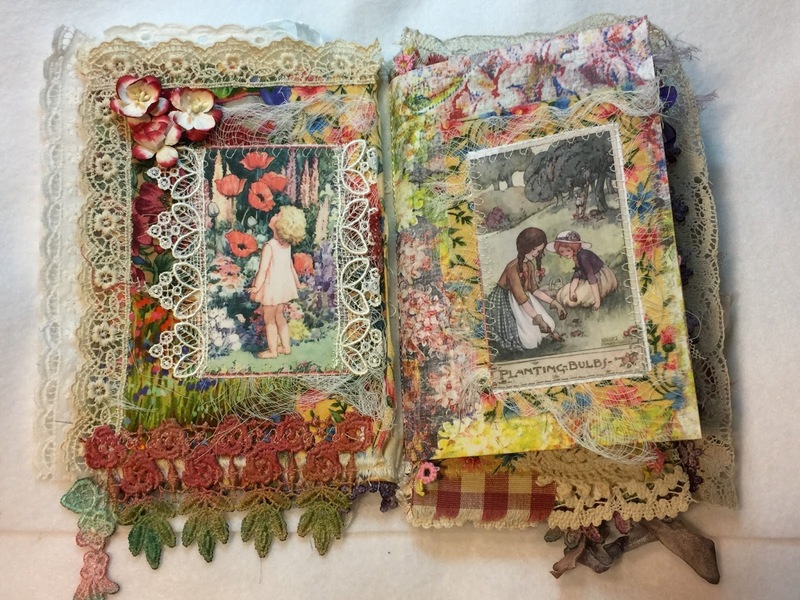 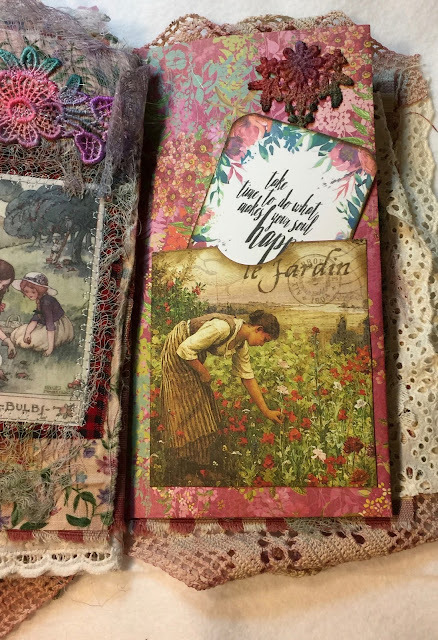 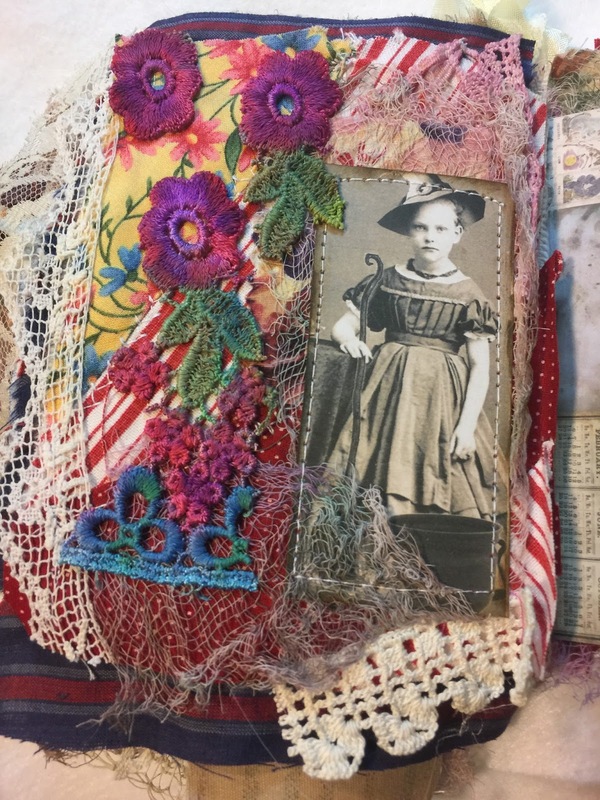 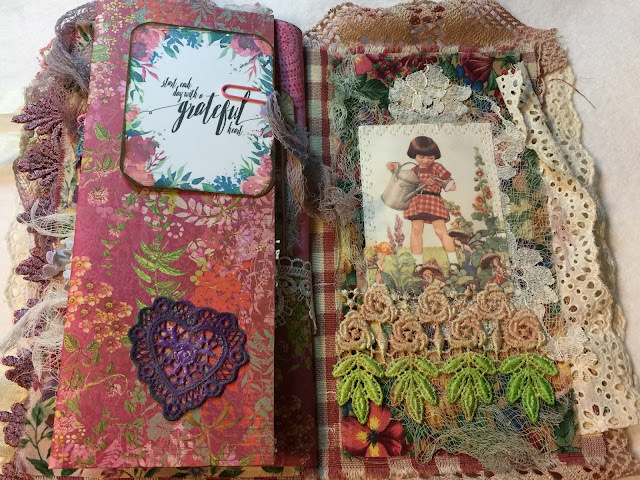 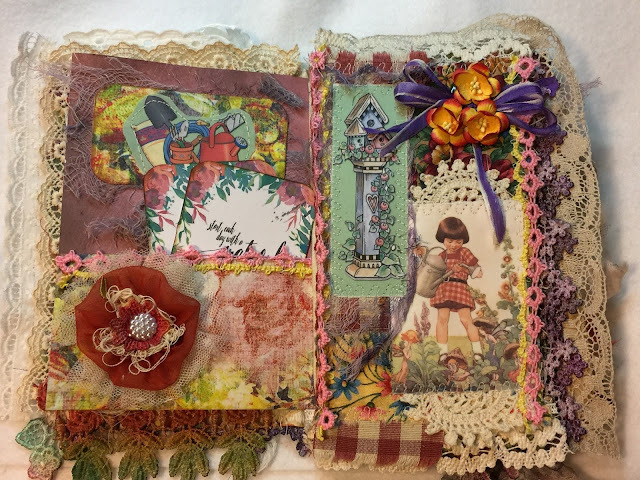 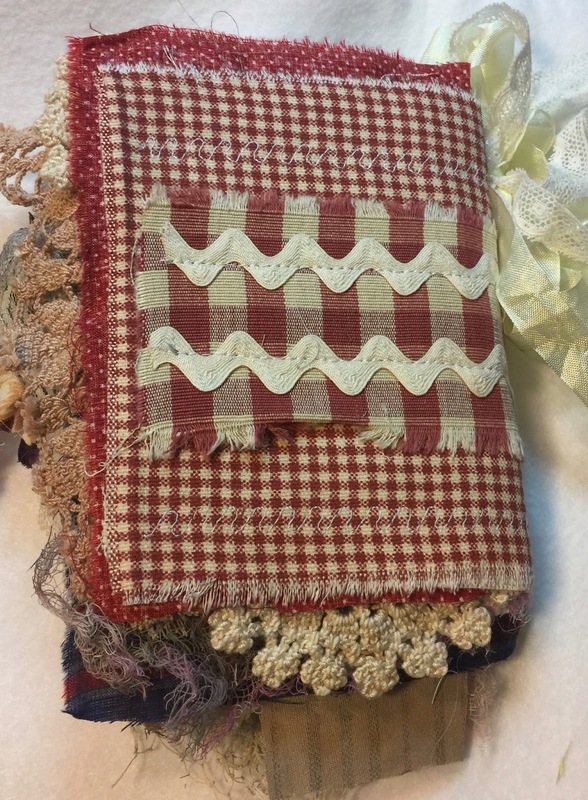 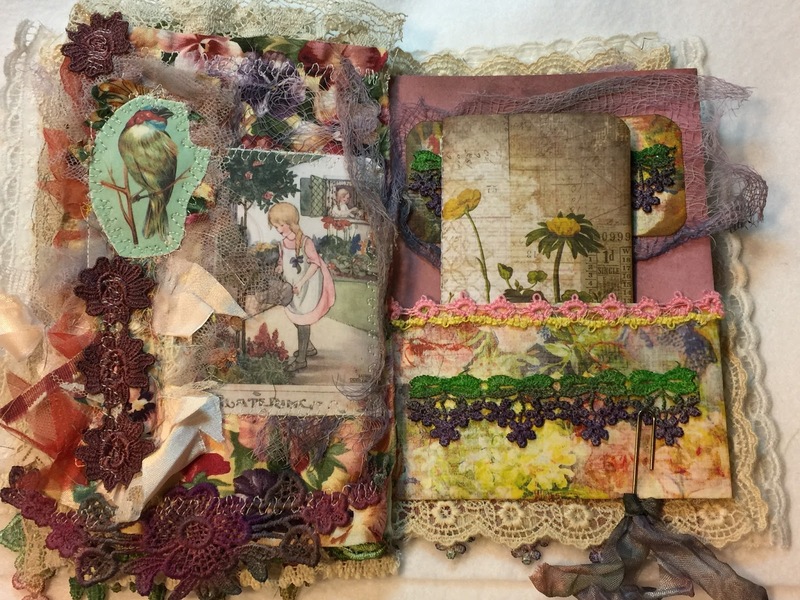 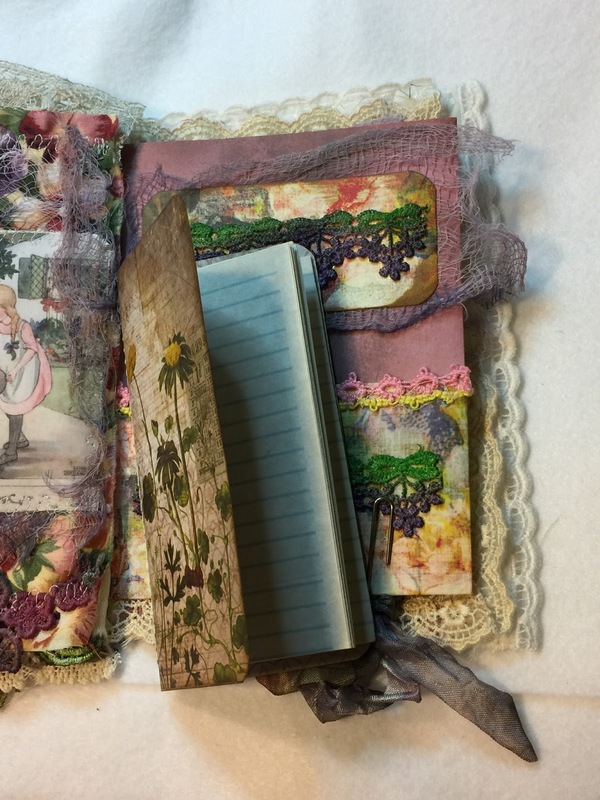 A sweet little Mixed Media Collaged Fabric and Lace book/journal. Measures 5"x9", with laces, ribbons, trims spilling out. 10 interior pages, including fold out. Also includes a precious little MINI JOURNAL, for your thoughts. 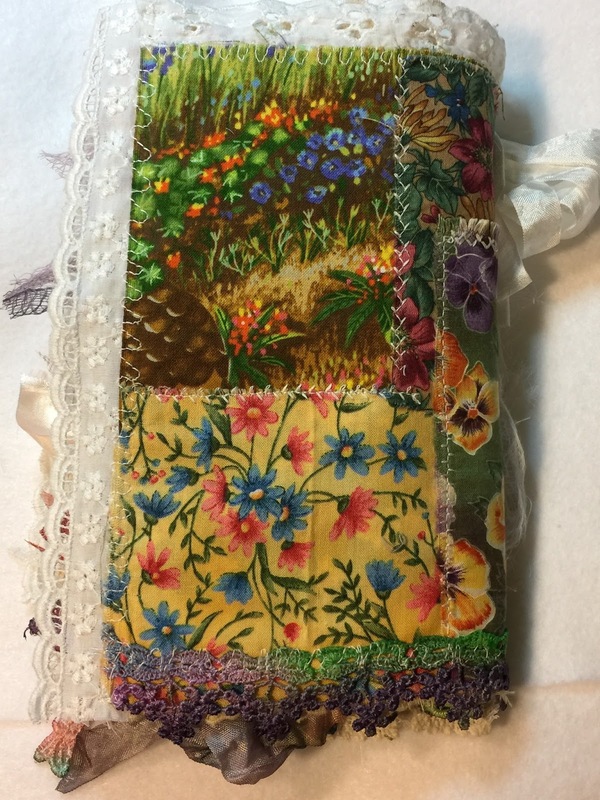 Several pockets with tags, or to slip in your tiny personal items. I had so much fun making this little book. 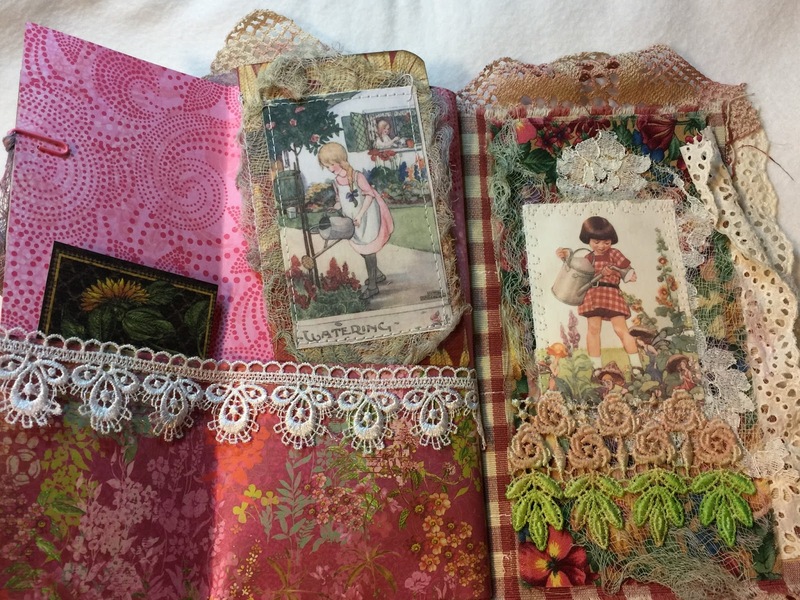 The flower garden fabrics and trims just made me happy! 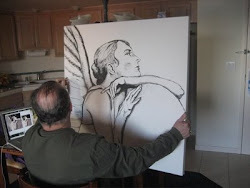 Within an hour of listing it on Etsy, it SOLD! 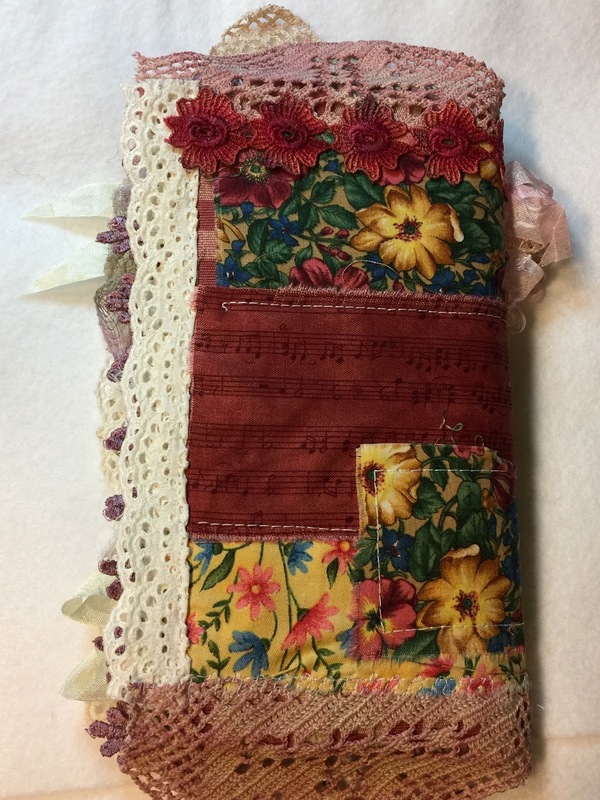 Book measures: 5x6", has 10 interior pages, including several 'tuck spots', tags, and a mini-journal for your thoughts. Many scraps of vintage fabrics have been crazy quilted to form the foundation of each page. 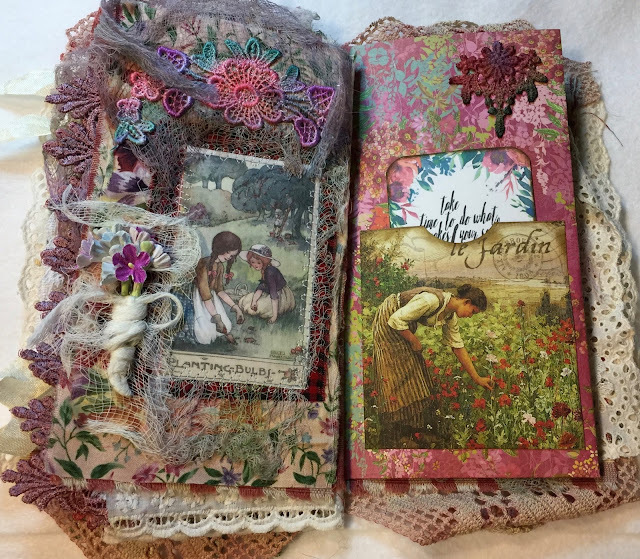 Notice the antique doilies on the cover.